MaxxTricky: How to Crash any Browser ? How to Crash any Browser ? 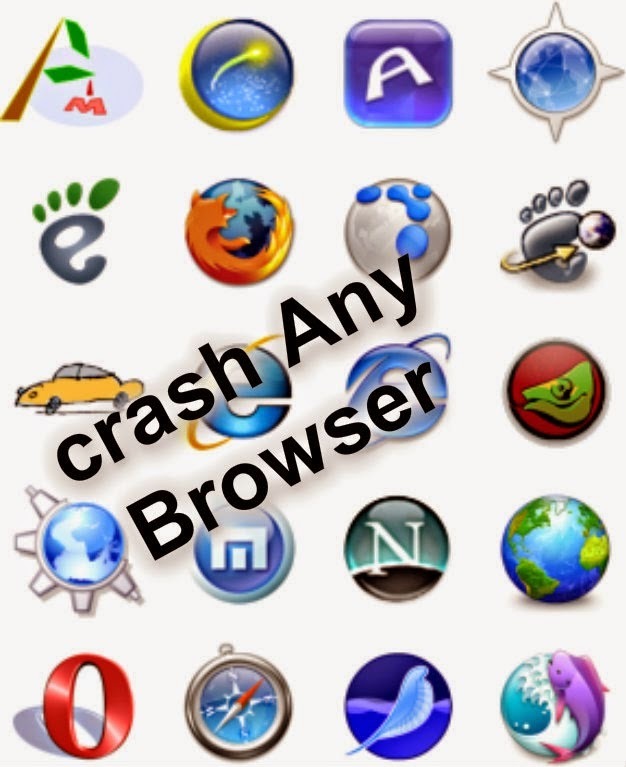 HOW TO CRASH ANY INTERNET BROWSER ??? What happens if a browser have to open 100 website at once ?? Copy and paste below code in NOTEPAD. Give it to your friends in his pen drive, when he'll click on it, then his browser will crash and also the Computer will Hang... You can also check it on your pc, it is not so harmful...!